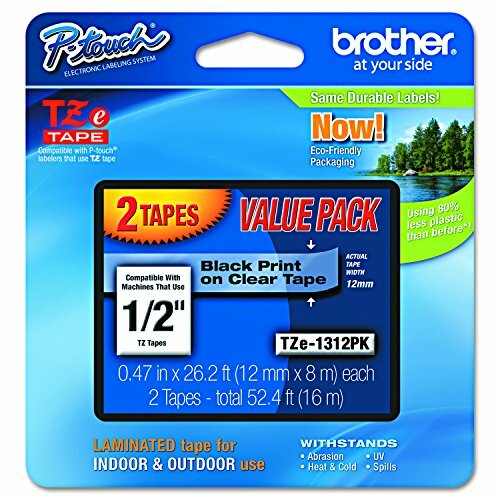 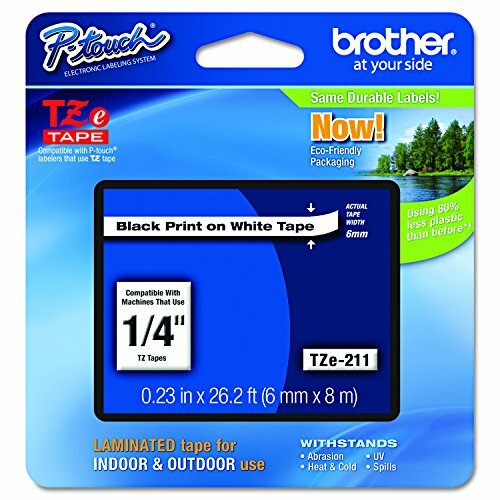 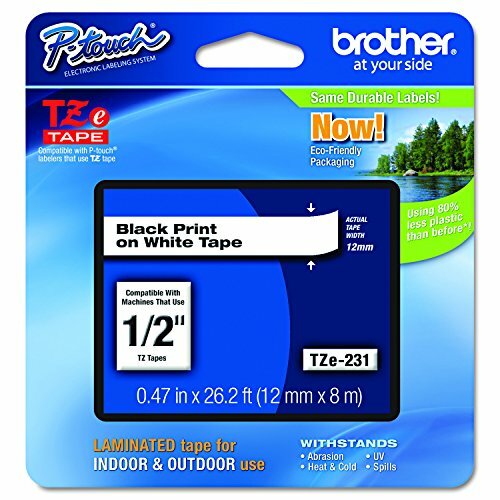 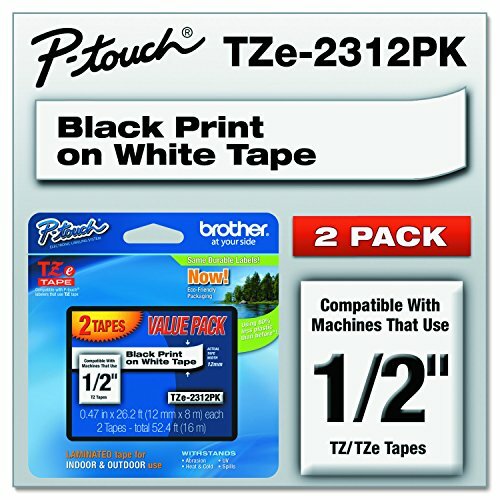 Brother TZe-231 2 pack labels are a good investment for all of your label making needs. 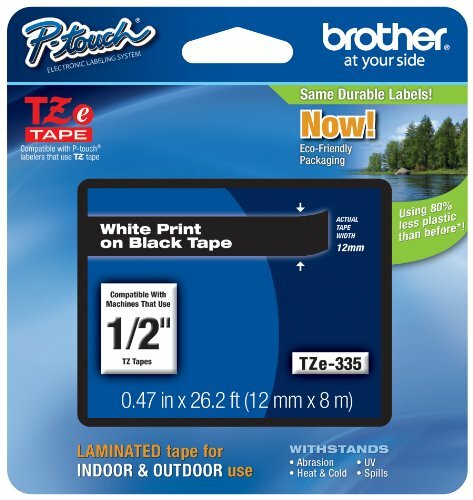 This value two-pack includes ½" (12mm) tapes that feature black text on a white background. 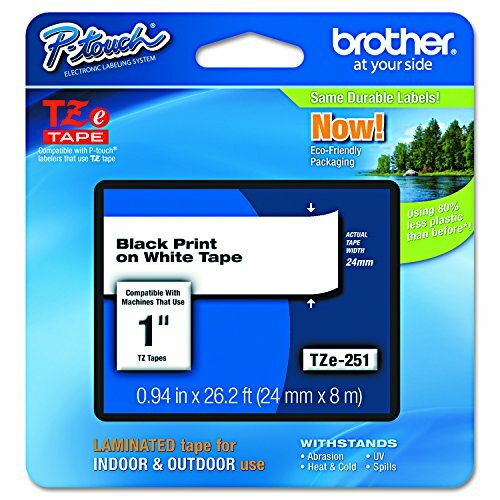 TZe tapes feature Brother's exclusive laminated tape process that makes labels very durable in conditions of normal wear and tear. 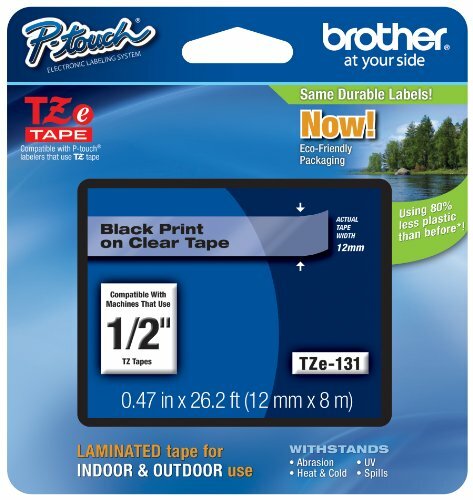 1/2" black on clear tape is designed for use with Brother P-Touch machines including pt-100, pt-65, pt-65sccp (small Clamshell package), pt-70, pt-80 and pt-85. 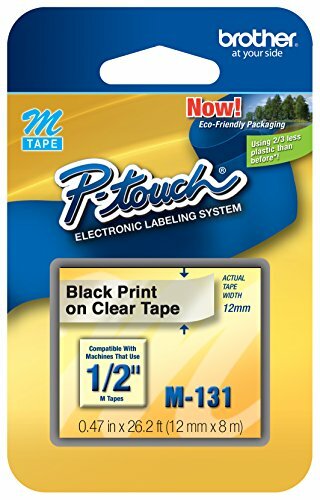 Create labels for home, home office, school or hobby applications. For indoor and light use. 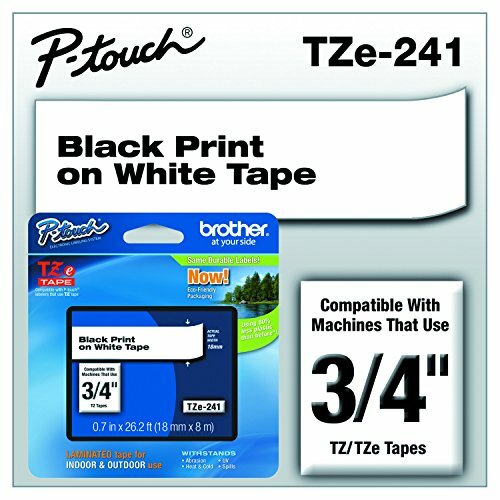 Yields 26.2'.